We have a fabulous new eye treatment to share with you! Patchology is here and it's about to rock the crepey skin right off your face. Just in time for your holiday gatherings! 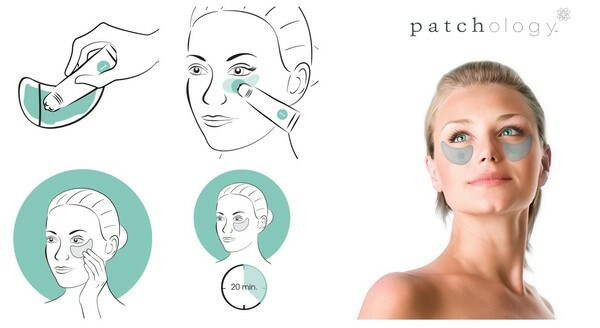 Patchology is a patented transdermal patch made more awesome with the addition of micro-current technology for more effective ingredient delivery. It's like a "recharging station" for your eyes. Patchology's micro-current technology gently pushes more of the latest cosmeceutical ingredients right to where your skin needs them most for a targeted boost of revitalization and renewal. 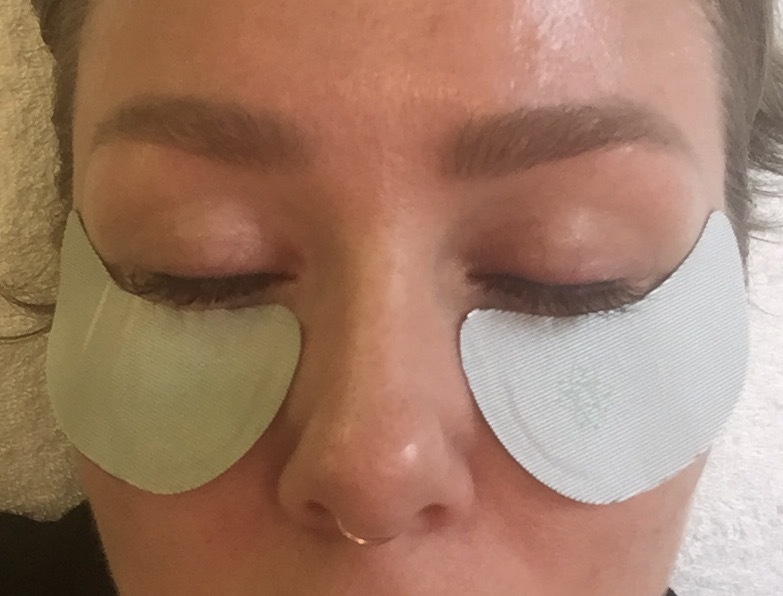 The delicate eye skin gets a major plumping boost from Hyaluronic Acid (see previous esthetics education post for more on HA), while Okra Plant Peptide calms, soothes, and tightens the skin. Cucumber and Mint soothe the puffiness away, and Vitamins C, B3, and B5 work on free radicals to slow the signs of aging. Add this eye treatment to any face or waxing service, or simply come in for the treatment alone. Twenty minutes will have you looking more refreshed, relaxed, and ready to get your holiday season on. Our test clients have raved about the results, so we're excited to share Patchology with everyone!